India Yamaha Motor (IYM) has introduced updated versions of the Saluto RX and Saluto 125. Both these motorcycles now come fitted with a UBS or Unified Braking System – Yamaha’s terminology for the Combined Braking System. On using the rear brake, this system also applies braking force at the front, thereby reducing the braking distance and ensuring better handling capabilities under braking. The addition of UBS comes in light of the upcoming regulation that makes CBS mandatory for all two-wheelers below 125cc. Although this rule will come into effect on 1st April 2019, Yamaha has moved early with the introduction of UBS. The Saluto RX with UBS has been priced at Rs 52,000 while the Saluto 125 with the UBS carries a price tag of Rs 60,500 - both prices ex-showroom Delhi. Aside from the introduction of UBS, there are no other significant changes to both these models. At the heart, the Saluto RX comes plonked with a 110cc 2-valve single-cylinder motor that pushes out 7.3bhp and 8.5Nm. The Saluto 125, on the other hand, is powered by a 125cc motor that delivers 8.1bhp and 10.1Nm. Both motorcycles come paired with a 4-speed transmission. 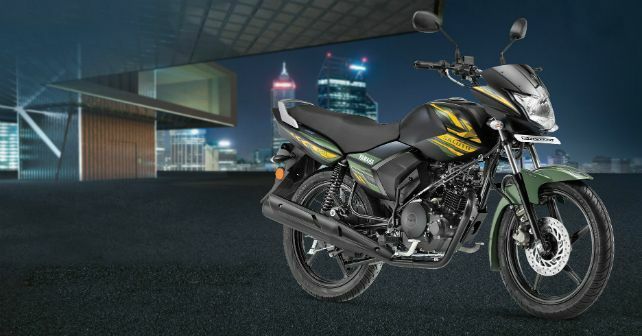 The Saluto RX competes against the likes of the Hero Splendor Plus, Honda CD 110 Dream DX, TVS Radeon and the Bajaj Platina 100 ES. The Saluto 125, on the other hand, locks horns against the Honda Shine, Bajaj Discover 125 and the Hero Super Splendor. Yamaha isn’t the first manufacturer to introduce update their models and bring it in line with the upcoming mandate. Royal Enfield, KTM and Honda have been gradually reintroducing their products with ABS. Expect other manufacturers and models to follow the suit too.